The NWTF’s JAKES Take Aim program was made possible by a generous donation from Larry and Brenda Potterfield, founders of MidwayUSA. The goal of the JAKES Take Aim program is to present opportunities for youth age 17 and younger to try target shooting, clay target shooting and shotgunning in a safe, fun environment. This goal will be achieved through two programs. Each NWTF state chapter in the lower 48 states will receive a fully equipped airgun trailer to use during local JAKES and youth events. The trailer contains everything needed to set up an indoor or outdoor airgun range. NWTF chapters, in partnership with local shooting ranges and gun clubs, can host sporting clay shooting events. 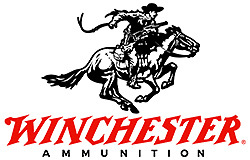 The program will provide clay targets and ammunition for registered and approved events. Each year NWTF chapters across the United States and Canada host JAKES (Juniors Acquiring Knowledge, Ethics and Sportsmanship) events to help pass on the traditions of responsible hunting, teach the principles of habitat management, hunting ethics and safety. Many JAKES events will incorporate the JAKES Take Aim airgun trailers.